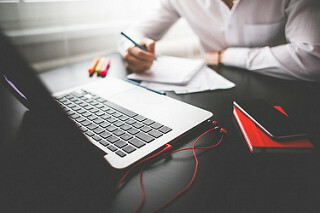 Through a survey of 264 U.S. individuals who are responsible for the creation, editing, and/or management of contracts at companies with at least $5 million in annual revenue, Contract Logix was able to get a comprehensive view into the state of contract management in the business services industry. In a previous article, we reviewed five challenges in contract management in the business services industry. In this article, we’ll take a look at four additional challenges frequently cited in managing contracts within the business services industry. 65.15% of respondents used paper in the process of managing contracts. While all of the respondents didn’t use contract management software, those focusing on paper were the ones citing a lack of centralization the most. When contracts are sitting in a filing cabinet, they’re holding back contract managers for two reasons. First, a delay in access to contract data leads to slower decision-making. Second, a paper-based contract management system doesn’t provide insights as to how existing and new contracts are interconnected, which can lead to missing out on critical information. For a deeper dive on the importance of centralization, review How a Centralized Contract Management System Brings Your Business Together. And one of those pieces of contract data often being missed in the business services industry is the schedule within a contract. 61.2% of respondents reported an inability to track key dates within their contractual relationships. 71.88% of individuals in a purchasing or procurement role are the ones who most frequently cited this concern. This makes sense because email and spreadsheets are most commonly used in the process of managing contracts by those who don’t use CLM software. A detailed schedule laid out on Excel or other spreadsheet software won’t trigger automated email alerts to the appropriate team members. On the other hand, a CLM software solution is a purpose-built application that brings the elements within a contract lifecycle to action through a system of automated email alerts and a customizable dashboard. Given that the average number of business emails that a person receives per day is expected to raise to at least 140 by 2018, a standardized email that contract managers can use to quickly identify key dates will save your organization money and speed up its average contract lifecycle. When examining the relationship between the roles responsible for contract management and the challenges experienced in managing, the most frequently cited challenge cited by those in contracting is the inability to adhere to business rules. This is a classic case of “out of sight, out of mind”. As pointed out in the previous list of challenges in the business services industry, 64.10% of surveyed companies reported a lack of business rules. Therefore, it isn’t surprising that 60.2% reported an inability to adhere to business rules. Contract managers cant enforce or follow business rules when they’re not able to identify them or effectively keep track of them. While only 54.1% of respondents to Contract Logix’ survey singled out a lack of standardized language as a challenge, this issue shouldn’t be taken too lightly. Information asymmetry is a serious issue because it creates risk that you’re taking into account in your contractual relationships. By allowing contract managers to execute contracts without a high level of certainty that the language used in those contracts has been pre-approved, you’re increasing the liability and business risks of your enterprise. The absence of a CLM software solution that centralizes a library of contract templates and clauses facilitates and enables a systematic challenge. Having a contract management system in place is one of the steps that your enterprise can take to implement risk management in all of your contracts.